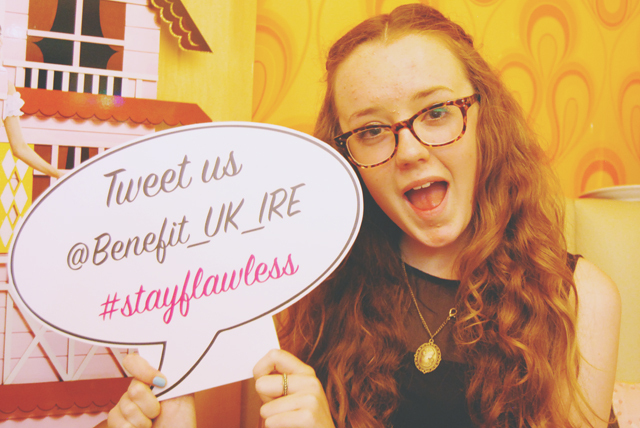 I was very, very excited to be invited to the Benefit Stay Flawless party in Southampton on Tuesday evening. I bought my first piece of Benefit make up in 2010 (Some Kinda Gorgeous, if you're wondering) and, ever since, I've been obsessed! 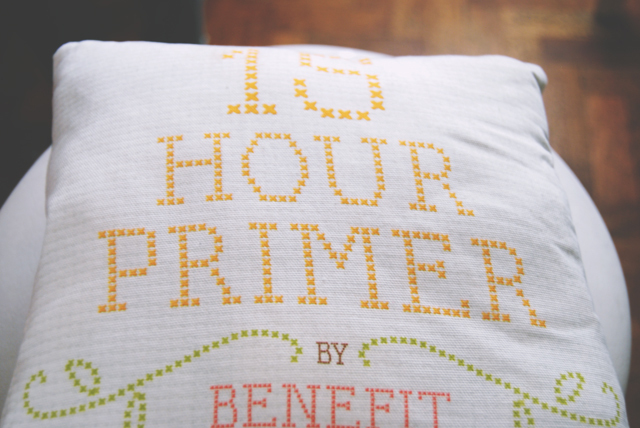 So I'm sure you can imagine my excitement at attending the party for Benefit's brand new product- Stay Flawless, a primer that promises foundation to stay perfect for 15 hours. Sounds good, right? How cute is this cushion! 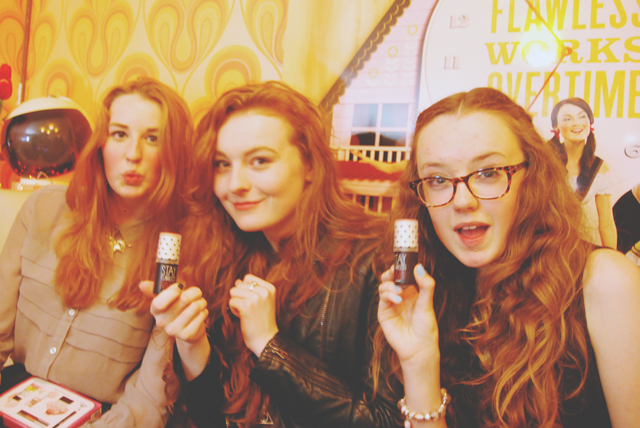 Here are the very lovely Ashleigh, Helen and Becca showing off Stay Flawless in all its beauty! 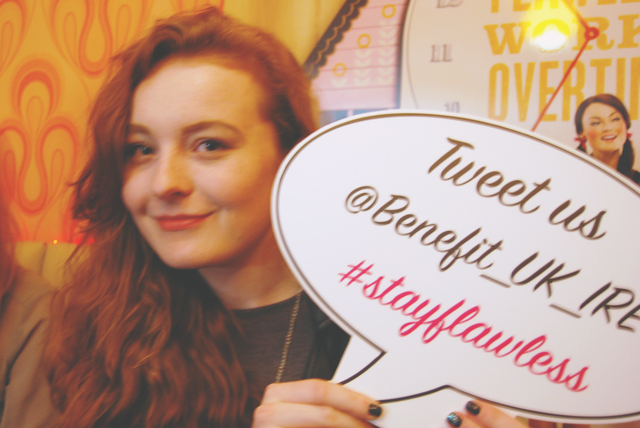 The Benefit girls were on hand to dish out beauty tips and tricks. 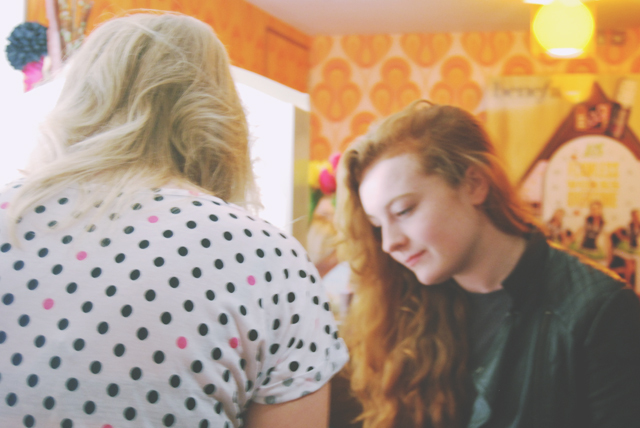 They also colour matched every attendee so we could find our perfect shade of foundation. There were not enough of these cute speech bubbles to go around! 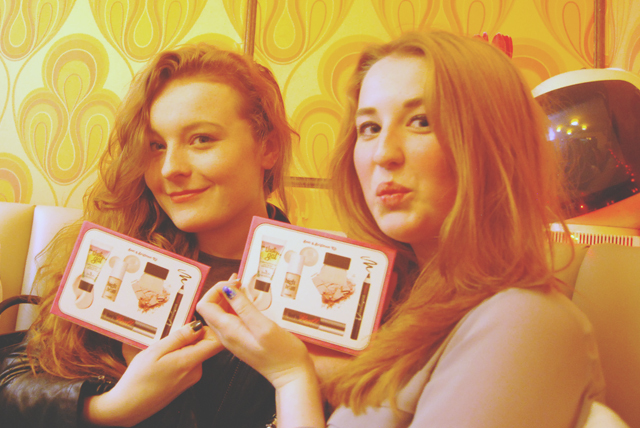 Nearly everyone won a Benefit kit in the quizzes. Not me though. Sad face! 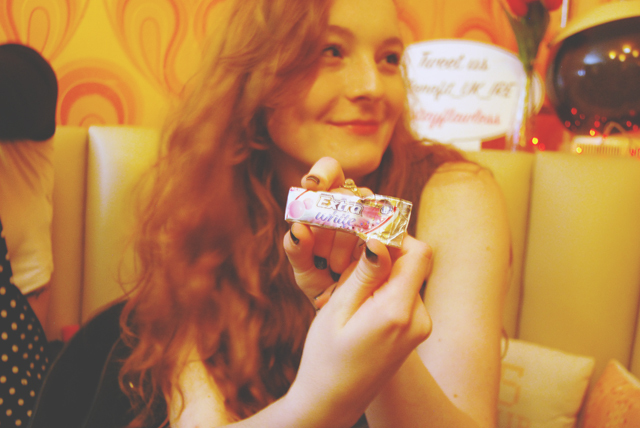 Bubblegum-flavoured chewing gum. Yes, it's as amazing as you think it will be! 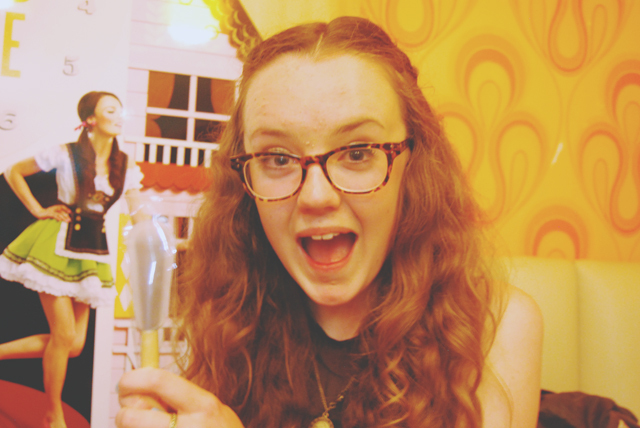 Becca really loves her make up brush! It was a great night. Huge thanks to the Benefit team for being so lovely and putting on a great party! 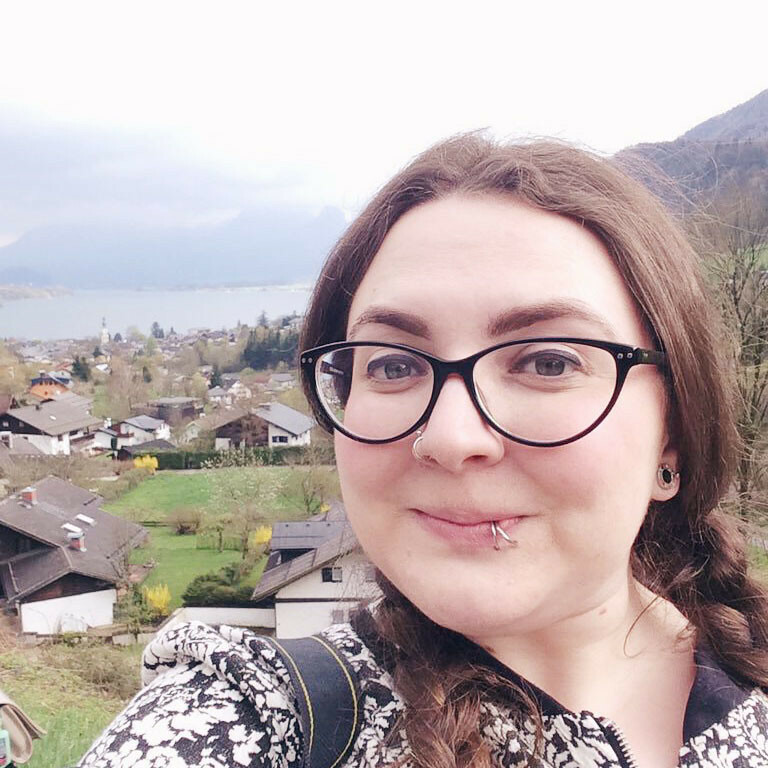 It was wonderful to meet some new bloggers too (and hello Helen's mum!). 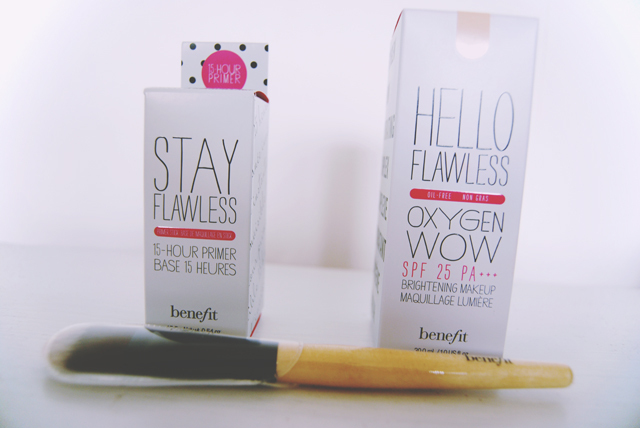 We were very kindly given a goodie bag containing a foundation brush, Hello Flawless foundation in our shade and, of course, Stay Flawless itself. I'll have a review up very shortly so keep an eye out! Spoiler alert: I love it! I'm glad you had a good time too! Seems absolutely amazing! I'm always so jealous of all the events around the UK, they seem like too much fun! Aaw, I'm sure you must have some local to you too. Oooh lucky you! I'd love to go to a Benefit event! Keep an eye on their Twitter page. They usually put a call out for bloggers if they need them. Haha you too! Hopefully I'll get to meet you for longer another time! Everything looks so cute and you all look beautiful! Can't wait to read the review.